Translations Services USA is your go-to provider for translated prior art search. No matter what your needs, we can cover patent translation, translation of other public domain information (including website content, journal publications, magazine articles, and many others), and provide you with a more precise and thorough search than would otherwise be possible by other means. When doing a prior art search, typically you must outsource to a specialized database search company to provide their search services. 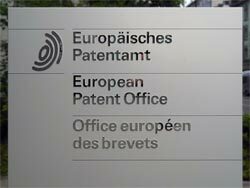 For instance, if you need to search for prior art strictly in English, you would need to have a search performed by the European Patent Office's search bureau located in the Netherlands. These services can often by very expensive. If you are lucky and the company you have outsourced your search to has the extensive experience listed above, and if your search is specific enough that it can be communicated very easily to your searcher, you may be able to get good results for your specific search's parameters. Trying to cut corners is not worth the risk of rejection or issues with patent litigation due to an impoperly executed prior art search. When you need to conduct a search in another language, or even multiple languages, you can let Translations Services USA handle this process for you, and guarantee you fast and accurate results. We take on all the responsibilities of coordinating between the search department a translator (hand selected for their experience both in patent translation and your specific field) to ensure that your prior art search is complted thoroughly and accurately. To request a quote or learn more about Translations Services USA's patent translation services for prior art searches, please contact us using our get quote request form.